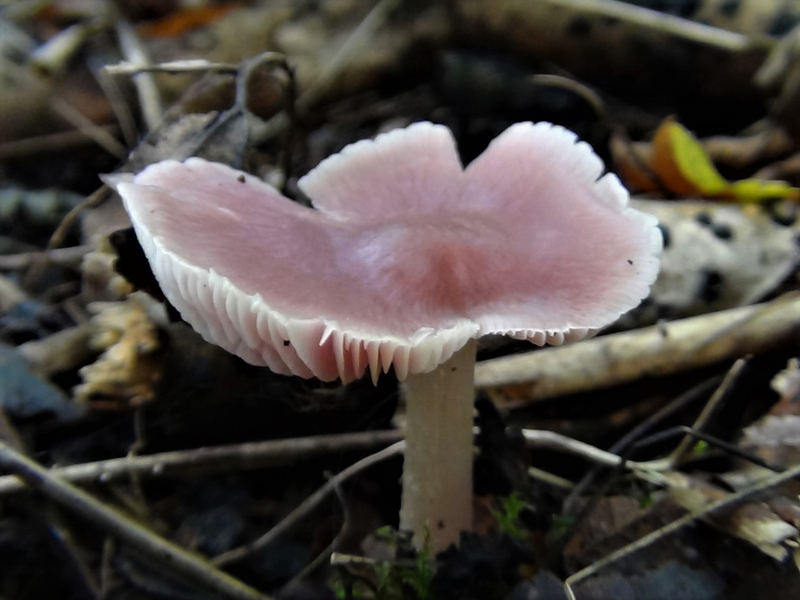 The Rosy Bonnet Mushroom, Mycena rosea. 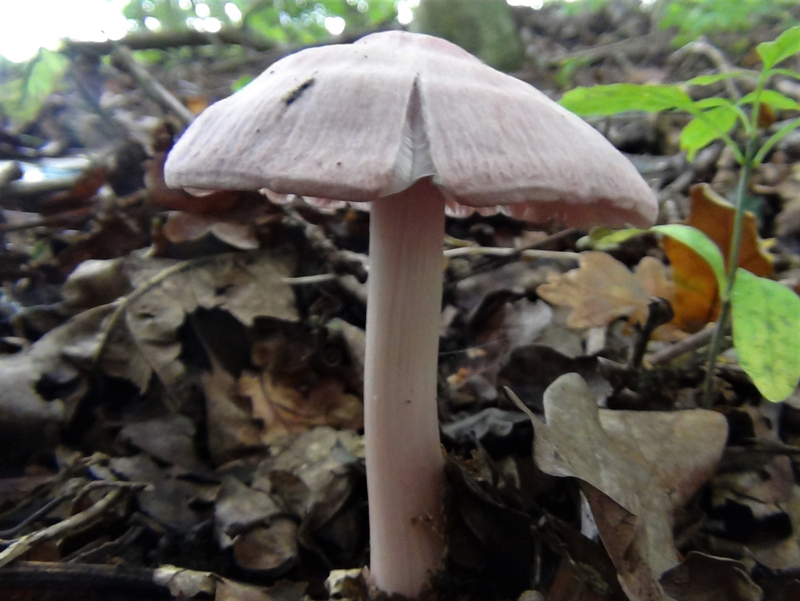 This mushroom was once considered edible but contains small amounts of muscarine so is now off the menu. 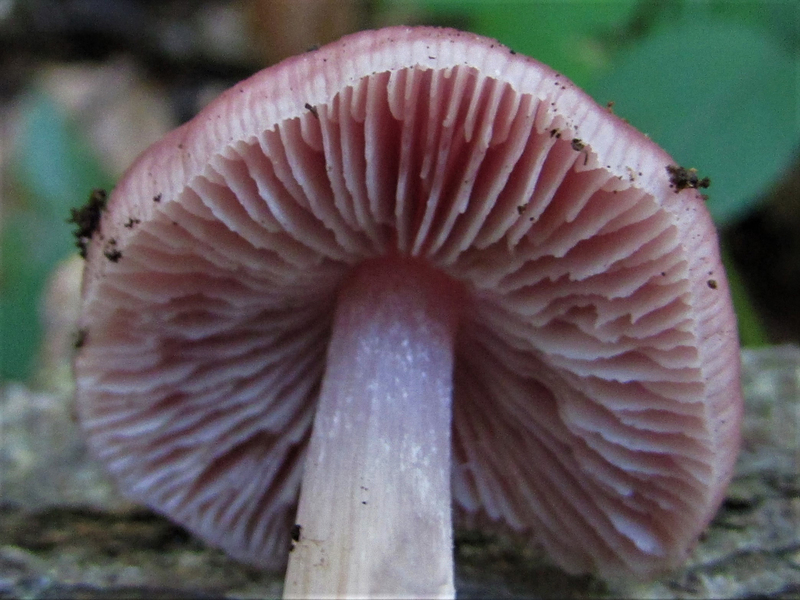 Convex, pink to lilac with a darker umbo and radial lines more obvious towards the edge. 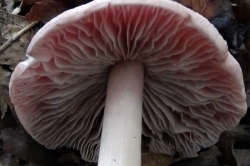 Gills off white with a lilac hint, fairly spaced. 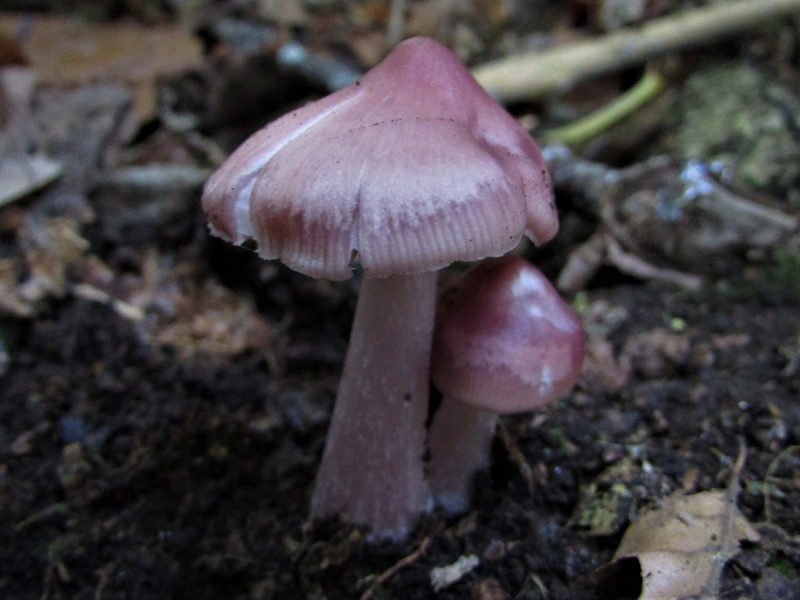 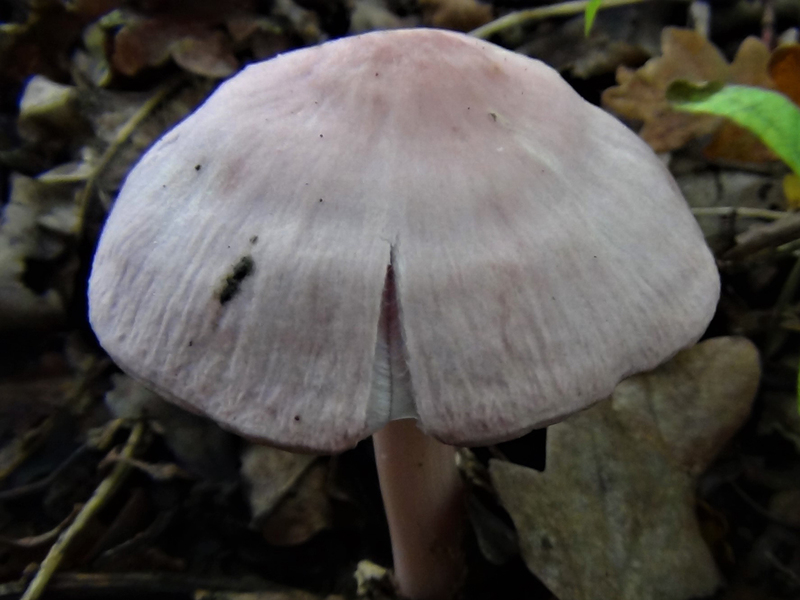 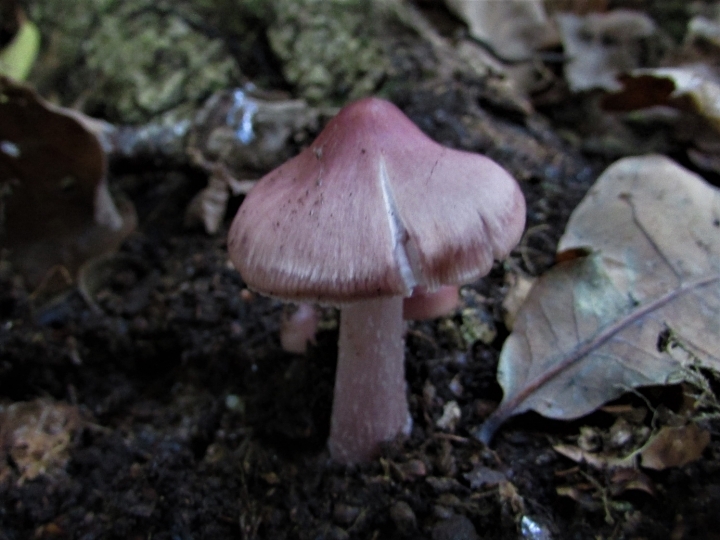 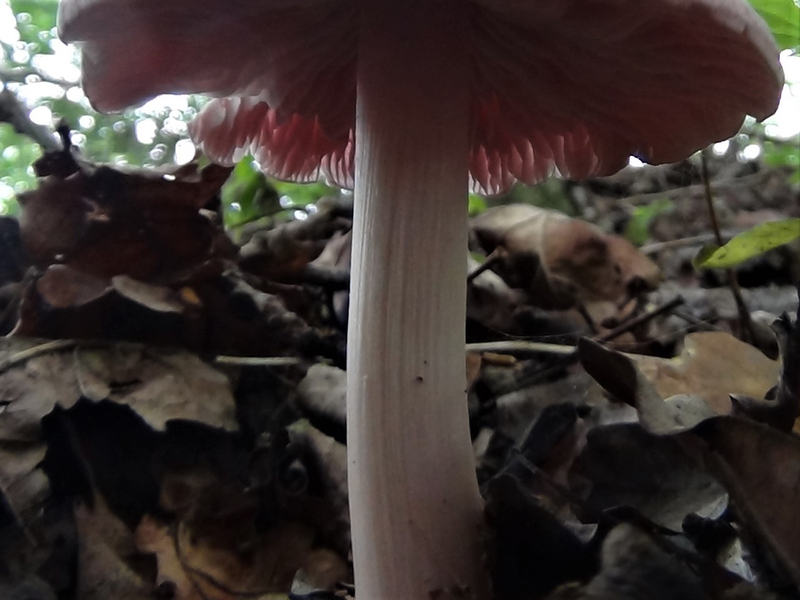 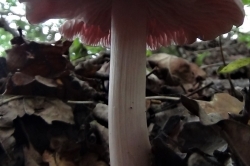 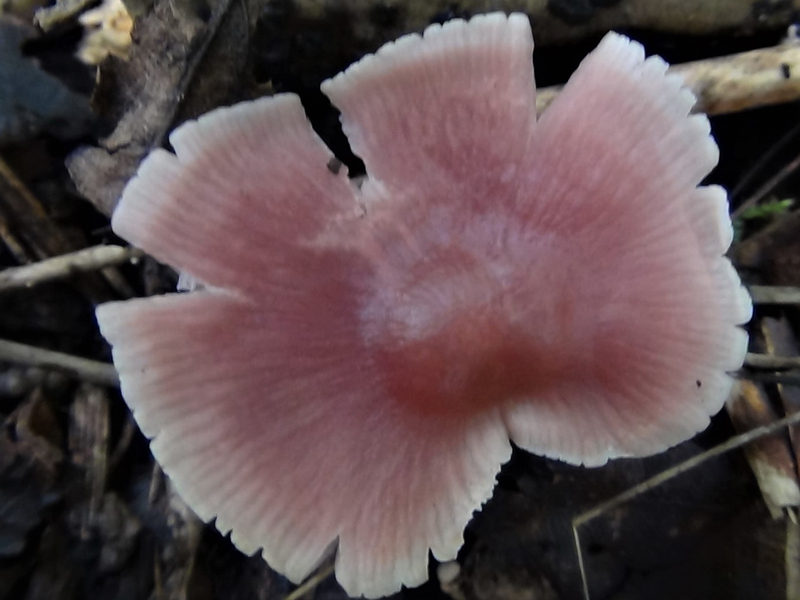 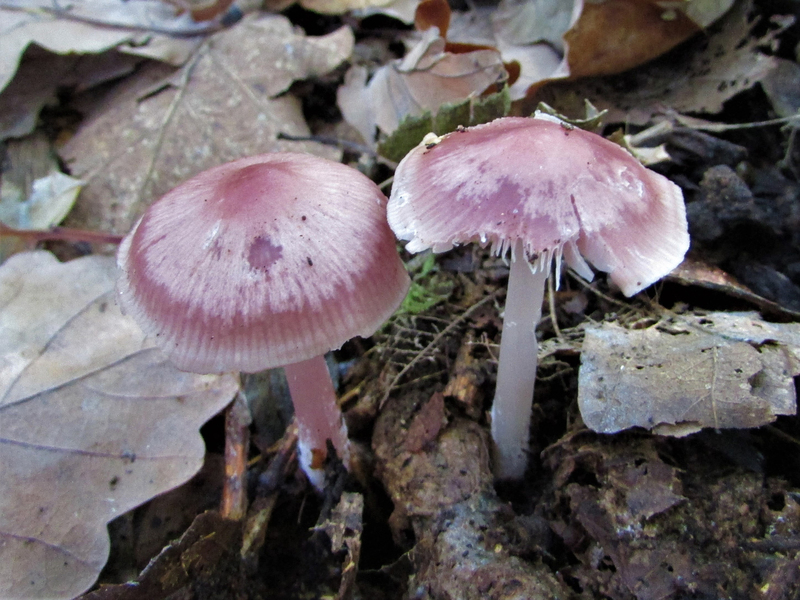 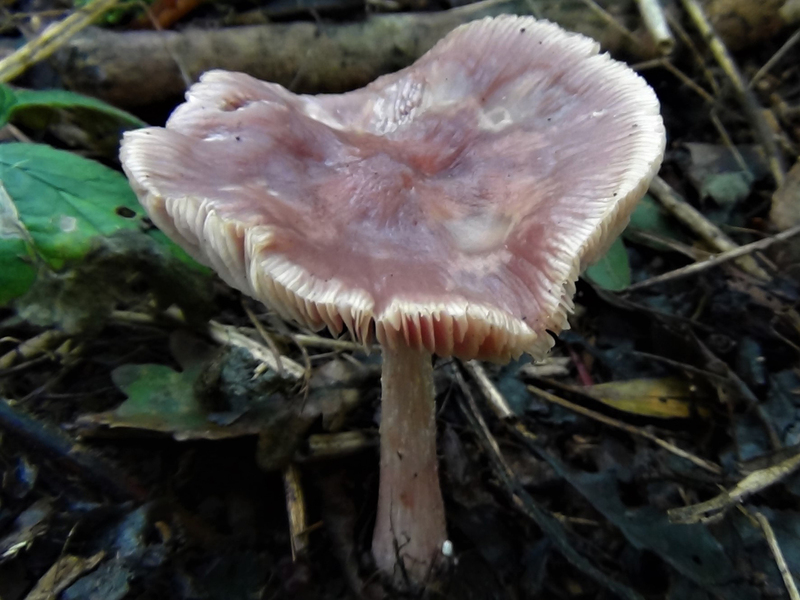 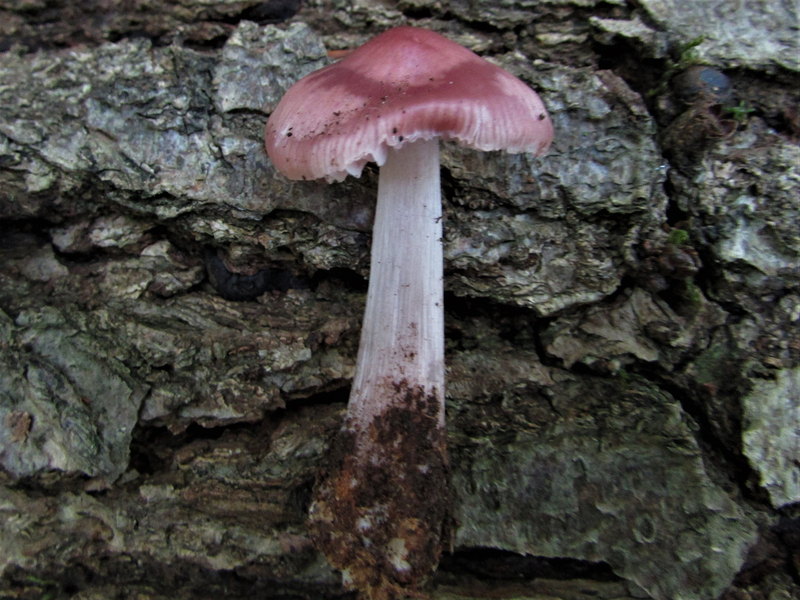 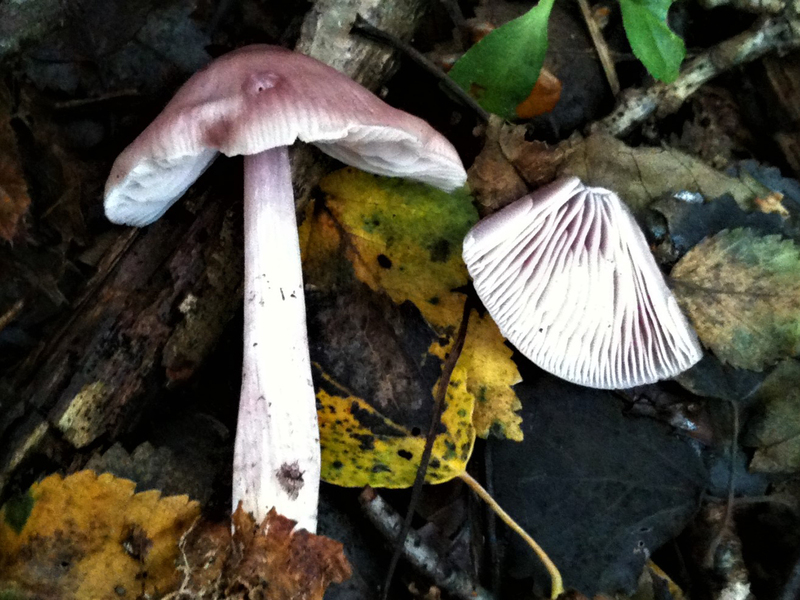 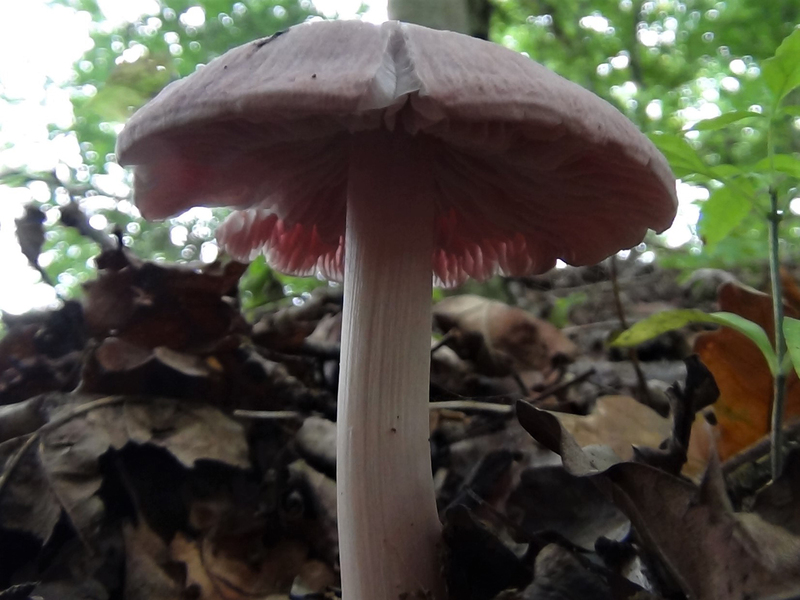 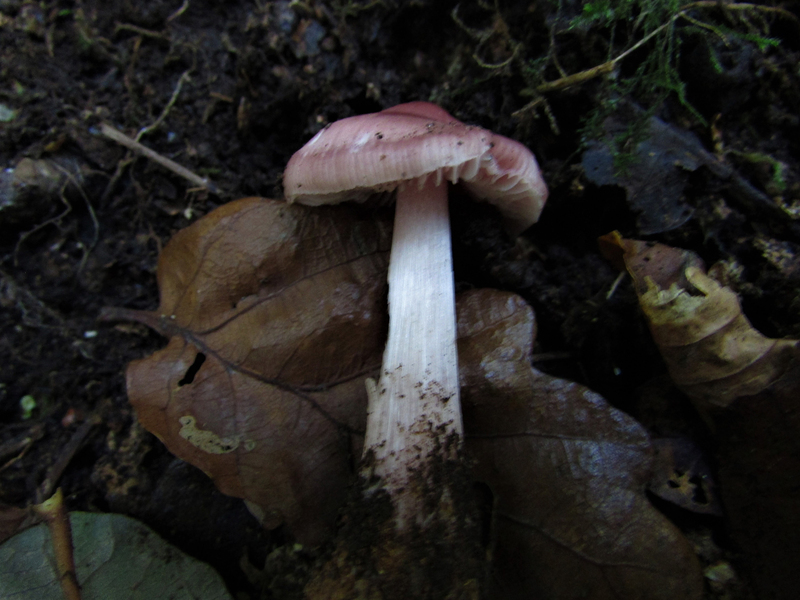 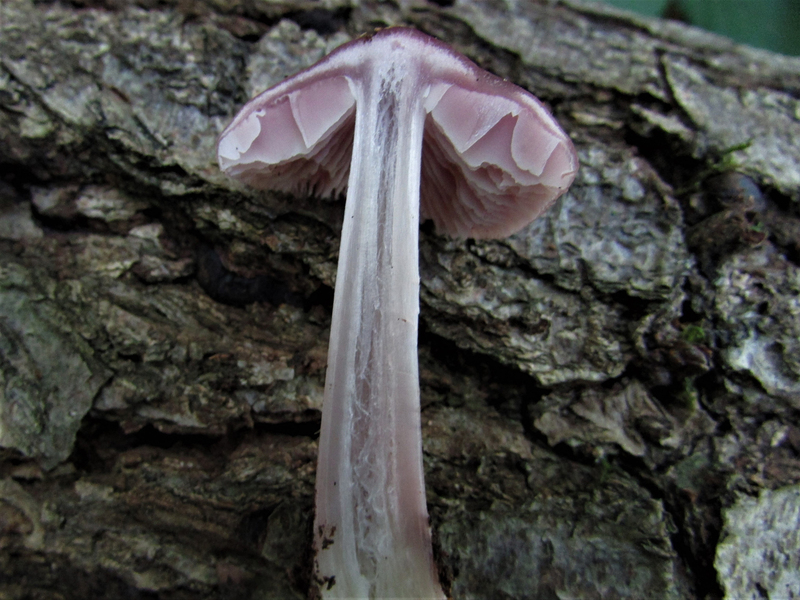 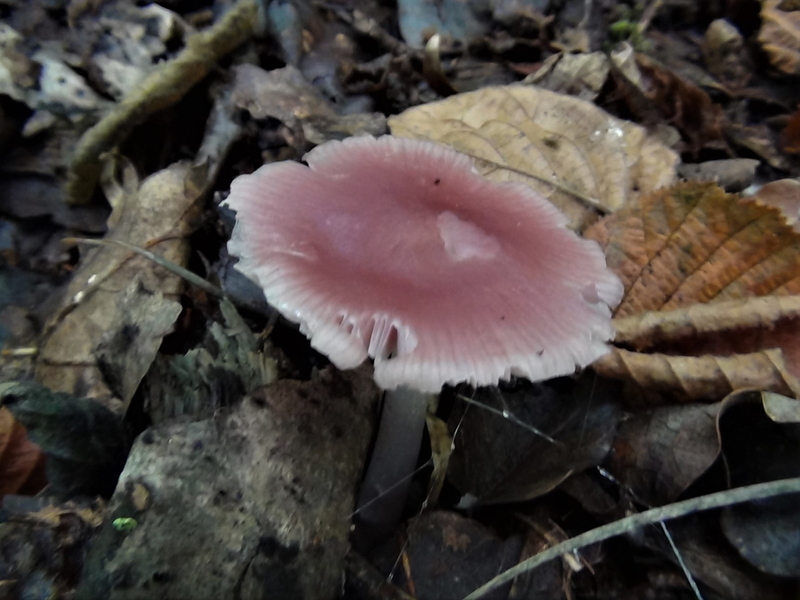 Pink to lilac, usually tapering towards the top and broader than the Lilac Bonnet, Mycena pura. 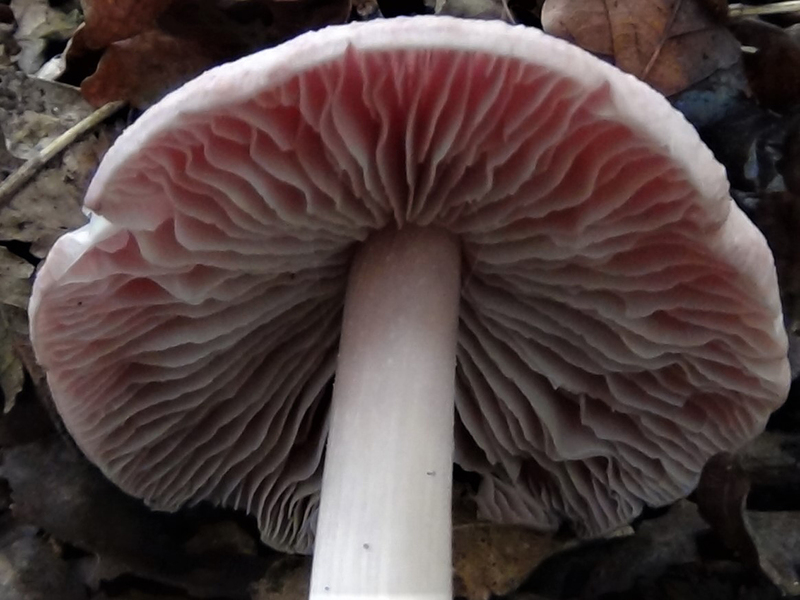 Can be twisted with small, fine, white woolly patches. 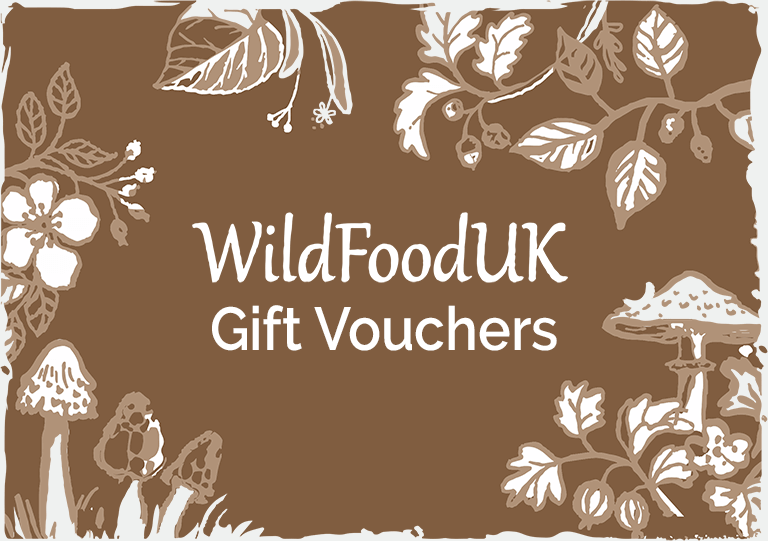 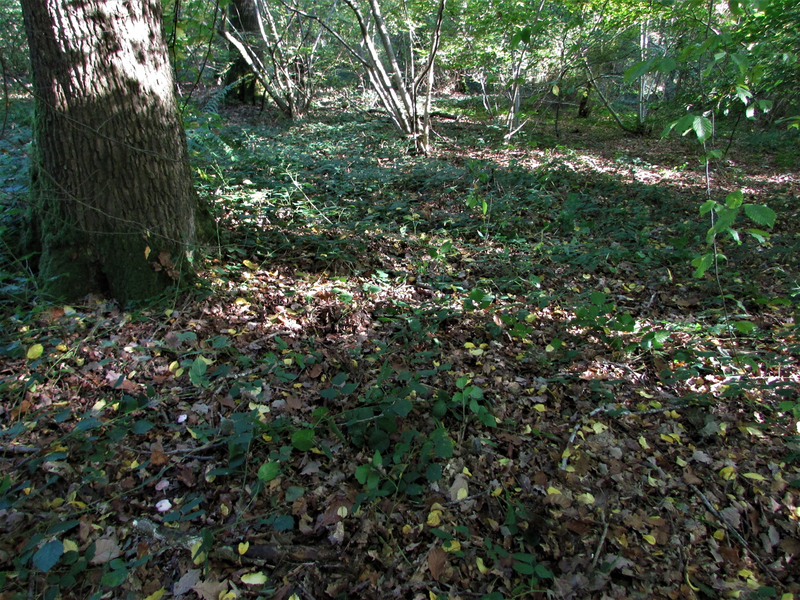 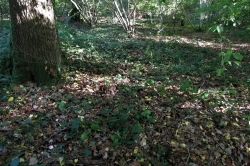 In deciduous and mixed woodland living on the leaf litter. 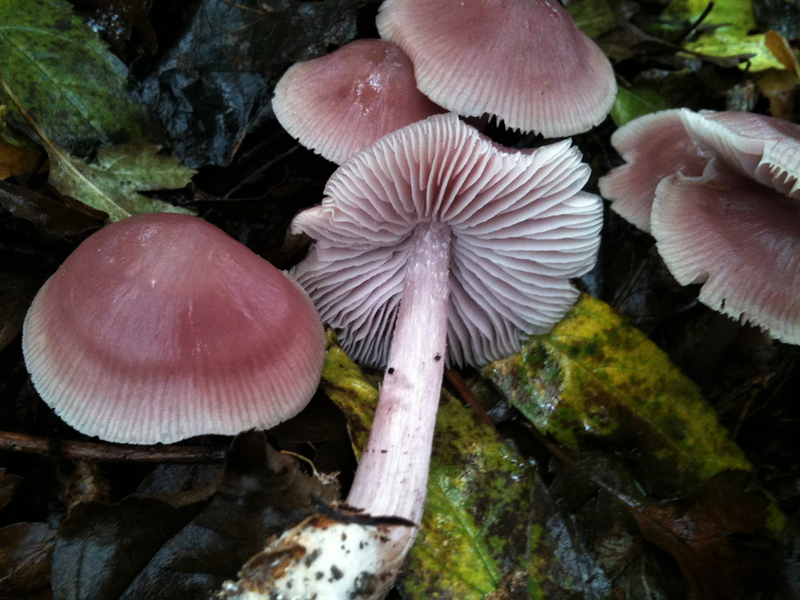 The Lilac Bonnet, Mycena pura, pictured. 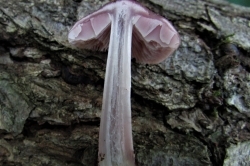 The Lilac Bonnet is smaller than the rosea and doesn’t usually have a tapering stem. 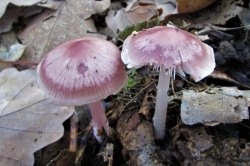 Some people consider that the two mushrooms are the same. 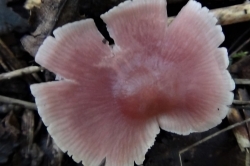 Has a faint smell of radish. 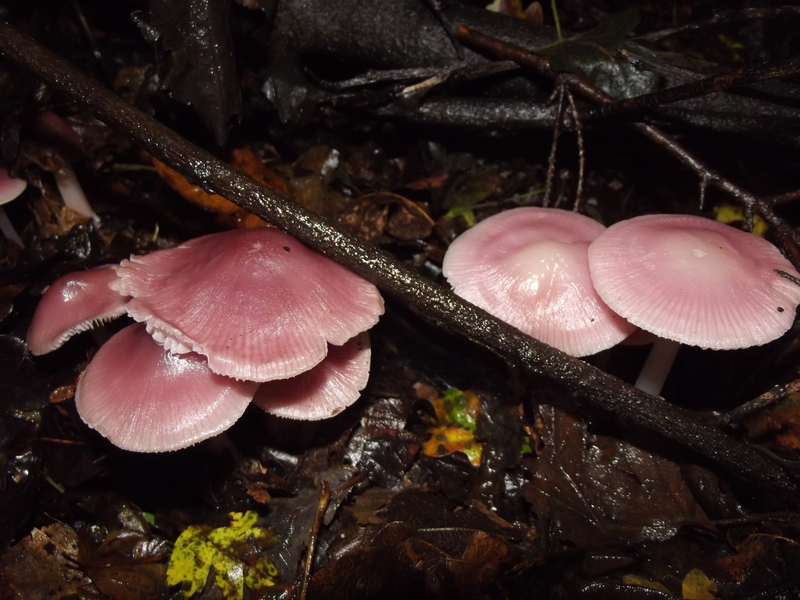 The gills of the Mycena rosea are a phosphorescent and glow in the dark.